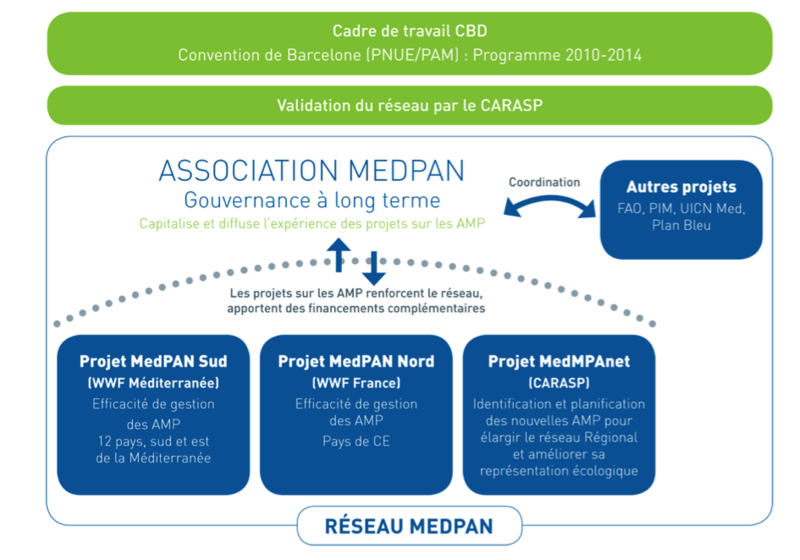 MedPAN is the network of Marine Protected Areas managers in the Mediterranean. Develop the life of the network, the exchanges between its members and their capacity to effectively manage their MPAs in link with the other players in their territories. Reinforce the sustainability, prominence, governance and resources of the MedPAN network. Key players in the Mediterranean such as RAC / SPA of the United Nations Environment Programme, WWF, the Conservatoire du Littoral, IUCN Mediterranean, the French Agency for Marine Protected Areas, ACCOBAMS and GFCM are partners of the network and are working together to synchronise their activities.